Home � Disney Character Greetings , Disney World History , Disney World News , Doubledecker Bus � Disney World: Do you Remember When? Disney World: Do you Remember When? 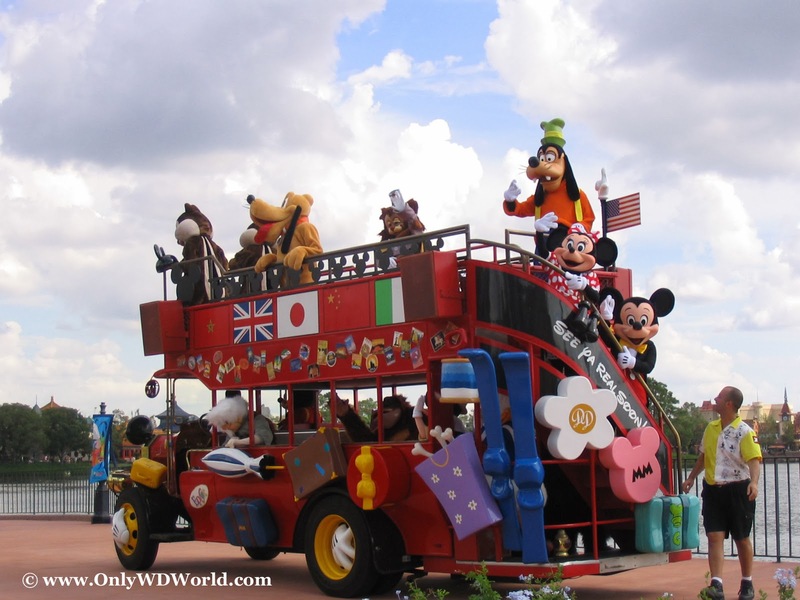 Do you remember when Disney Characters used to ride around Epcot on a double decker bus? It was called "The Disney Characters on Holiday!" and was a great way to meet all of your favorite characters at Epcot. This picture comes from 2004 at a location around the World Showcase. Characters included: Mickey Mouse, Minnie Mouse, Goofy, Pluto, Chip and Dale, and many more. How many of you remember seeing this Double Decker bus when you visited Epcot? 0 comments to "Disney World: Do you Remember When?"